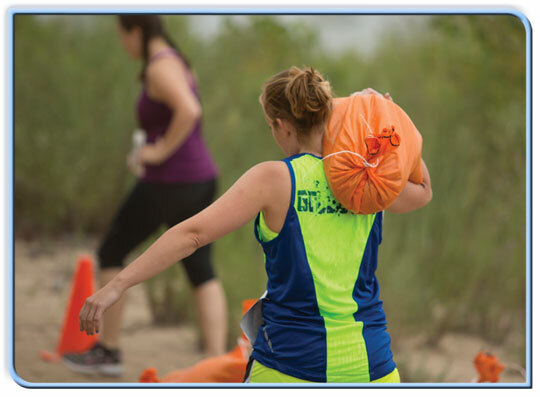 Athletes in Erie and the surrounding area have ample opportunities to express their competitive stamina – whether it be a head-to-head struggle or for personal satisfaction. One competition that draws outstanding athletes to Erie is the Highmark QUAD Games. The Games is celebrating its 30th year as a competition offering a one-of-a-kind fun way to have a greater hand in your health. This unique competition for area athletes consists of four events throughout the year and is designed for participants of all levels. For those interested in testing their athletic skills, the Highmark QUAD offers a competitor level with timed results and event awards. Individuals in the Healthy Lifestyle category encourages you to approach the Highmark QUAD and its four events as short-term fitness goals that bring variety to your exercise. Some individuals can perform as a team for their employers even if they participate in only one event. Boys & Girls Baseball in Erie, Inc.
Erie Lions - Youth Hockey Assoc. Erie's health clubs and gyms provide dozens of sites to get fit, take a dip or work with a personal trainer. Some of the more popular clubs include the YMCA, Pennbriar Athletic Club, Nautilus Fitness Center, Family First Athletic Club, Curves, the Lake Erie College of Osteopathic Medicine (LECOM) Medical Fitness & Wellness Center, along with many others. Many have courts, pools, treadmills and tracks – all inside – to draw those who may have a difficult time with Erie's ever-changing seasons. 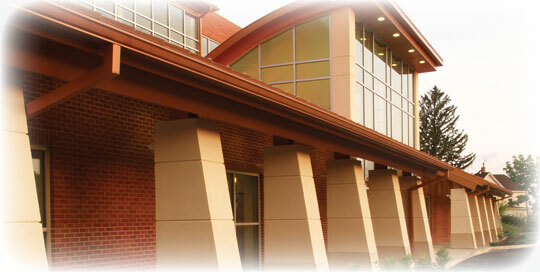 Many of the clubs also have league sports, such as soccer and swimming. They also offer special training classes and yoga. 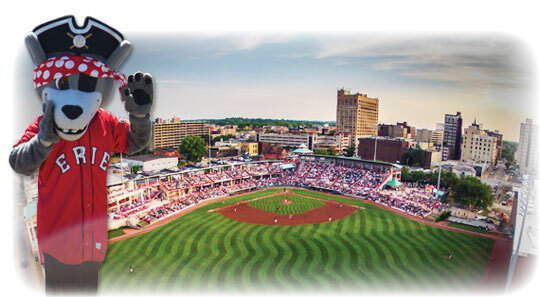 Erie SeaWolves baseball is a summer treat and Jerry Uht Park is the place to be. Every year, more than 200,000 loyal fans attend the games, looking for future stars or that next exciting play. The friendly park has plenty of entertainment between innings, too. Fun games for kids and adults keep the crowd involved throughout the game. The Seawolves mascot moves around during the game and provides plenty of laughs. The SeaWolves' name was derived from "Sea Wolf," a term which historically was used to refer to a pirate. Erie Otters hockey charges into Erie Insurance Arena during winter months, banging and crashing – and yes, scoring and fighting. Young men ages 16-20 work hard, hoping to be drafted by a National Hockey League team. The Otters arrived in 1996, following on the heels of the Erie Blades. They are affiliated with the Ontario Hockey League, a division of the Canadian Hockey League. The OHL and CHL have been churning out prospects for years. In the 2013 NHL Draft, nearly half of the players chosen were from the CHL. Otters alumni include current NHL players Brad Boyes, Ryan O’Reilly and Tim Connolly. 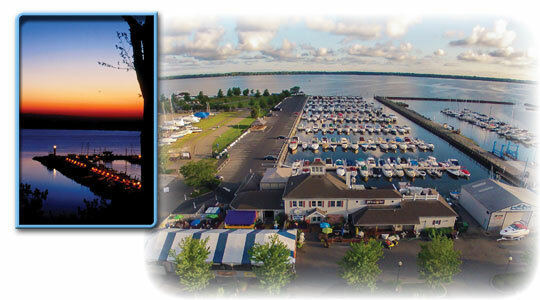 Lake Erie provides boaters with numerous opportunities for sailing, motor boating, canoeing and even kayaking. Presque Isle Bay is inviting to those who seek calmer waters for activities such as waterskiing, while the lake itself provides wide open spaces for a multitude of water craft. Boats can be launched from any number of public and private marinas. Ice boating is popular during the winter months when the bay freezes over. 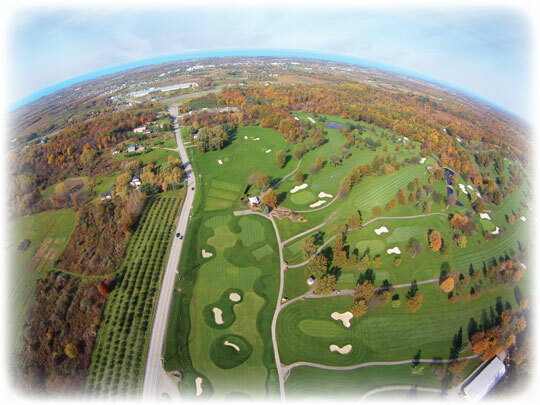 There are an abundant number of golf courses to choose from in the Erie area. When those pleasant days arrive – and they do, quite often – in Erie, the area courses are filled with hackers and slicers of all kinds. With different shapes, distances, and number of sand traps, golfers find challenges in all of them. Many hold regular competitions sponsored by local businesses. The Erie District Golf Association and Erie District Women’s Golf Association organize larger tournaments for area golfers. The Pennsylvania Fish and Boat Commission issues about 25,000 standard resident licenses in Erie County, the third largest total in the state. This year, the SONS (Save Our Native Species) of Lake Erie fishing club sponsored a summer-long fishing contest, which was open to the public. Anglers could submit fish that were caught in Lake Erie, its tributaries and Erie County waters. Popular species include Rock Bass, Smallmouth Bass, Yellow Perch, Brown and Lake Trout, Steelhead and Walleye. These are pulled from numerous locations including Walnut Creek, Trout Run and Elk Creek. Lake Erie and Presque Isle Bay are also popular spots for reeling in record-sized fish. Hunters can take their aim at deer, duck, quail, pheasant, turkey and bears. The Pennsylvania Game Commission issues licenses to about 10 percent of Erie County's population. 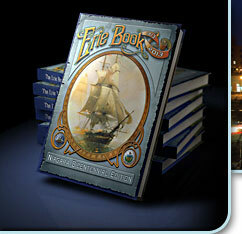 Staying warm during winter in Erie can be easy and fun. Whether you’re building the world’s tallest snowman or carving a path down a ski slope, the fun and excitement helps heat up those chilly bones and muscles. Sporting enthusiasts have many activities to choose from in those frigid months. Kids can find great sledding slopes at Frontier Park. For adults and older kids, some of the more popular sports include snowboarding and downhill skiing. Two nearby sites for these activities are Peek’n Peak in Clymer, NY and Holiday Valley in Ellicottville, NY. Cross-country skiing is a great activity for those who want to glide across the snow at a slower pace. The Presque Isle hiking paths provide an ideal place for this activity. When Presque Isle Bay or the lake freezes, ice skaters, ice fishermen and wind surfers share the spaces for winter fun. Ice fishing requires digging a hole in the ice, dropping a line and waiting. Some anglers arrive complete with small enclosures that stand up to keep the gusts from penetrating their layers of clothes. Many skaters stop by to see how the fish are biting. Once the leaves start falling in Erie, football is in the air all over the region. Fans of professional football teams have three nearby squads to brag about: the Pittsburgh Steelers, the Cleveland Browns and the Buffalo Bills. Closer to home, Gannon, Edinboro and Mercyhurst play the college game with strong support from fans. 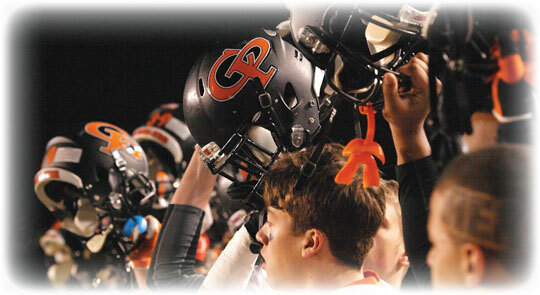 Strong high school programs at schools such as rivals Cathedral Prep and McDowell battle for superiority. Prep draws particularly well, fielding a powerful team year after year. The annual Save-An-Eye All-Star game features the best area high school football players who graduated the previous year. The game entertains and raises funds for a great cause. Many exceptional athletes have emerged from Erie County neighborhoods. Mark Stepnoski, Fred Biletnikoff and Bob Sanders made their fame in the National Football League. Stepnoski won two Super Bowl rings and was voted to a number of Pro Bowl teams. He was also named a member of the NFL’s All-Decade team for the 1990s. Biletnikoff was a consistent go-to guy as a wide receiver for the Oakland Raiders. He was named the Most Valuable Player of Super Bowl XI in 1977. The football field behind Central Tech High School bears his name. Sanders was the NFL’s Defensive Player of the Year while playing for the Indianapolis Colts in 2007. Figure skater Caryn Kadavy won a gold medal as a member of the 1988 U.S. Olympic team. Current Edinboro wrestling coach Bruce Baumgartner is a four-time Olympic medalist. He took top honors while with the 1984 and 1992 U.S. Olympic team. The fitness workout called Tae-Bo is the brainchild of actor and martial artist Billy Blanks, another Erie native. Bowler Bob Learn Jr. knew how to light up the lanes as a member of the American Bowling Congress member. Learn won 4 Professional Bowlers Association titles.